I became interested in the study of food just over a year ago. I had read the remarkable book Eating Animals, which has since converted my husband and me to vegetarianism, and started wondering what my eating choices really had to do with the rest of my life. As I a person who believes in God and believes that my life should reflect that belief, my question naturally turned into this: what does my faith have to do with how I eat? (or vice versa). Since then I have pursued this question in as many ways as I have found. In a little more than a year my interest has grown from casual foodie to serious thinker about all things related to food. Frederick Buechner, a novelist and Christian writer, famously wrote, “The place God calls you to is where your deep gladness and the world’s deep hunger meet.” At no point in my life has this been truer for me than when I started exploring ministry through food. Few things apart from my deepest relationships give me as much pleasure as thinking about and studying food. Gastromomica was born out of this interest as a way for me to think out loud about food and to share my thoughts and ideas with other people interested in food. However, up until now most of that thinking has centered on recipes that I have shared, and not much about what I’m doing with or thinking about food. 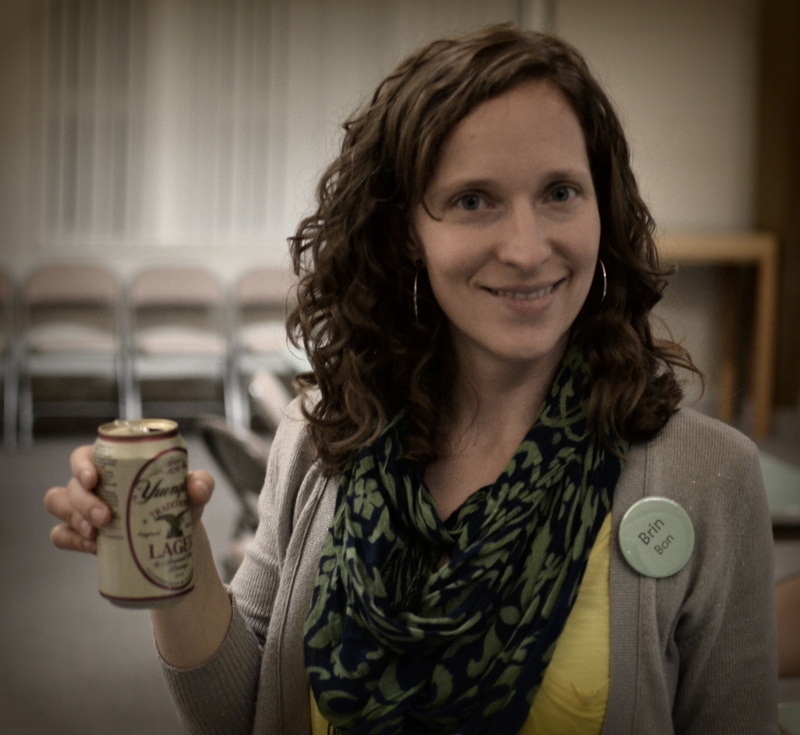 With that said, consider this a first post about my developing food ministry. I arrived in London, Ohio on Thursday and will be spending the next three days at the beautiful Procter Center learning about and connecting with different Episcopal food ministries around the country. 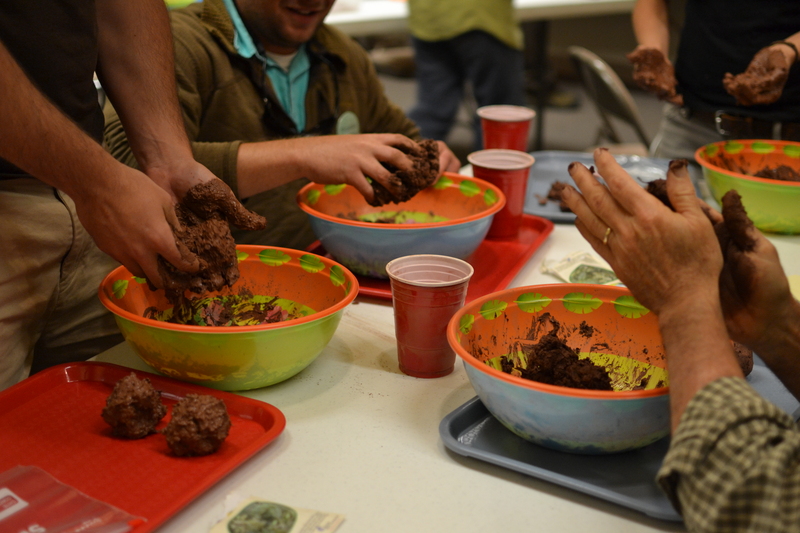 Last night after dinner and an evening Eucharist we made seed balls. 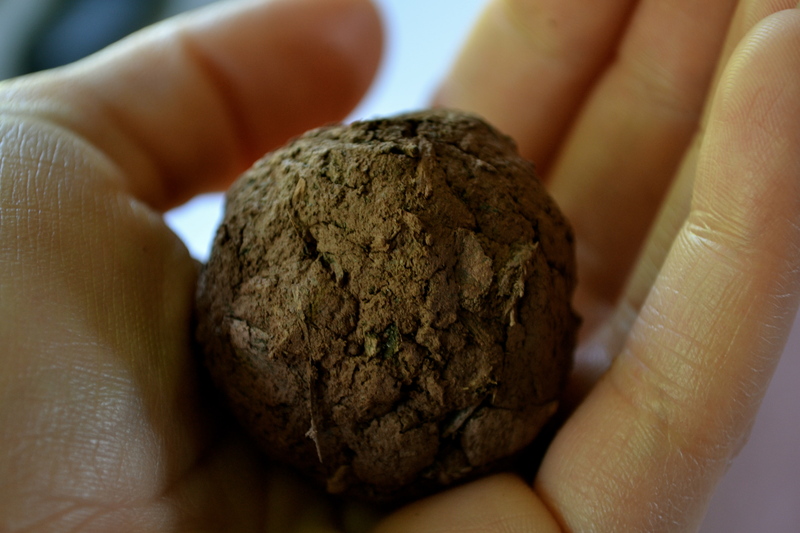 A seed ball is a dried clump of clay and dirt, housing seeds that will sprout up and grow wherever they are placed (or thrown). We used seed packets that included basil, marjoram, and thyme, which are pretty hearty plants and can be harvested and eaten. This would be a great activity for kids but even a room full of adults drinking beer and wine had a good time playing in the mud. Mix the dried clay and the soil together until it is thoroughly combined. The clay will probably totally coat the soil. Sprinkle the seeds over the dirt before you add the water and mix them throughout the soil-clay mix so they are evenly distributed. Next add just enough water to hold the mixture together . If you add too much water they will not hold together as easily and they will take longer to dry out, so only add just a little at a time until you have the right amount. 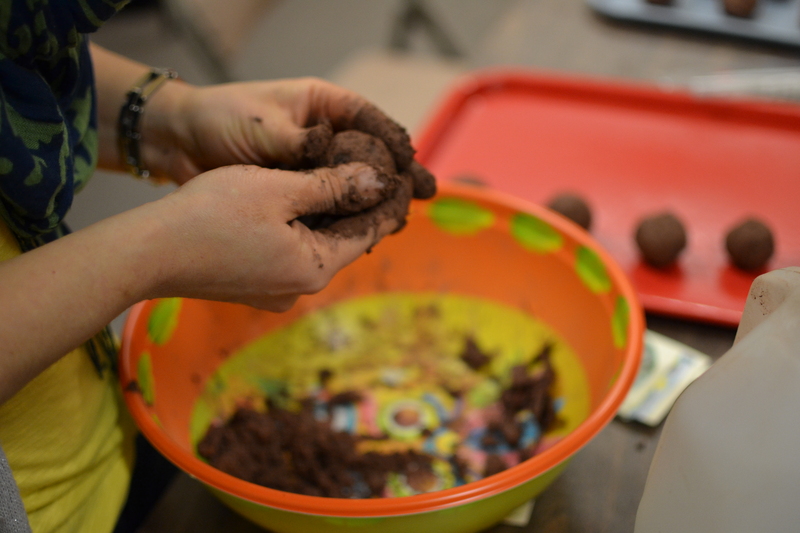 Form the wet mixture into balls, rolling them in the palm of your hands until they are firm and round. Set the formed balls onto a tray or plate and let them dry out. This will take less time if you didn’t add too much water to them. Mine sat out for almost a day and are pretty dry–dry enough to place in a plastic bag to transport. Unfortunately I don’t think I’ll be able to take mine home with me since I’m not sure what TSA’s policy on dirt is. Seed balls can be tossed into brown lots in an act of guerilla gardening. Left on top of the dirt, the clay and soil will fall apart and the seeds will take root wherever they are placed. sure would love to see what happens from your experiment! Thanks for your comment. Unfortunately, I had to leave my finished seed balls in Ohio when I flew home, so I didn’t get to see how they turned out after being planted. I’m hoping to make them again with my kids this summer, so I’ll be sure to post an update when I do.